Certainly I've been responsible over the years. When there were younger kids in the neighborhood, I made sure they weren't getting on the grass, and put those little flags up, keeping them off so that they don't walk through it and put it in their mouth. 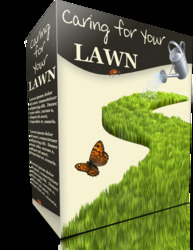 The pronouncements of people like Tom, interviewed in his home in 2003, suggest a growing awareness that lawn chemicals have social and ecological effects. More generally, there is a growing acknowledgment that the demands of lawn care, when met by input-oriented control solutions, inevitably involve a certain degree of risk, sometimes made manifestly obvious in cases of acute exposure (as in the case of Suzanne above). Even the Scotts Company, the industry leader in lawn chemical retail sales with 52 percent of market share, explained to its investors in 2001, "We cannot assure that our products, particularly pesticide products, will not cause injury to the environment or to people under all circumstances" (United States Securities and Exchange Commission 2001:16). 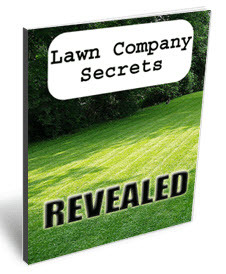 This is largely a result of the specific ecology of lawn species. Anglo-Americans originally introduced these landscapes from Eurasia, along with almost all of their constituent species, including Bahiagrass (Paspalum notatum), Bermudagrass (Cynodon spp. ), Kikuyugrass (Pennisetum clandestinum), Annual ryegrass (Lolium multiflorum), Colonial bentgrass (Agrostis tennis), Kentucky bluegrass (Poa pratensis), Perennial ryegrass (Lolium perenne), and Tall fescue (Festuca arundinacea). As a result, and despite its cultural significance throughout North America, the turfgrass lawn is an exogenous ecosystem in Canada and the United States, where it dominates, and the requirements for its propagation are high as a result. Though these species are robust, the climatic demands of many regions, including the humid south, the arid west, and the frigid north, all make tremendous demands on homeowners seeking to nourish exotic monoculture, specifically the use of pesticide and fertilizer inputs. The most commonly used home pesticides (both insecticides and herbicides) in the US are shown in Table 7.1 (Extension Toxicology Network 2000; United States Environmental Protection Agency 2000). The deposition of these chemicals is largely unregulated and has been identified as a serious ecosystem risk in both the United States and Canada (Fuller et al. 1995). Indeed, many of the same chemicals for which registration and training are required in the agricultural sector, are sold over-the-counter to lawn owners in unregulated quantities (Guerrero 1990). Case reports of childhood tumours and leukemia associated with lawn chemical usage began to emerge in the late 1970s and 1980s, with a growing body of work substantiating these concerns. Though the effects of 2,4-D, the most common of all yard herbicides, on human health are generally debated, expert panels have concluded that the weight of evidence supports the possibility that exposure can cause human cancers (Ibrahim et al. 1991). So too, neurotoxins like chlorpyrifos appear far more significant than has been generally accepted to date (Zartarian et al. 2000), and yard treatments have been shown to have strong associations with soft tissue sarcomas (Leiss and Savitz 1995). This is especially true for children; pesticide usage, specifically including Diazanon as well as yard weed herbicides, has been shown to be associated with childhood brain cancer (Davis et al. 1993; Zahm and Ward 1998). More troubling, lawn chemicals, rather than residing on lawns where they have a relatively short half-life, are commonly tracked into homes and deposit on clothing, where they represent ongoing exposure risks, and where they become considerably more persistent than previously thought. These chemicals accumulate in house dust and on surfaces and carpets where small children—precisely the group whose risk levels are highest—are disproportionately exposed (Lewis et al. 1991; Leonas and Yu 1992; Lewis et al. 1994; Nishioka, Brinkman et al. 1996; Nishioka, Burkholder et al. 1996, 1999a and 1999b). Controlled studies demonstrate that measurable quantities of herbicides are absorbed by dogs and remain in their urinary system for several days after lawn exposure, underlining the possible exposure impacts on other mammals, including humans (Reynolds et al. 1994). *Millions of metric tonnes of active ingredient used in the US (United States Environmental Protection Agency 2000). its serious implications for ambient insect, fish, and bird populations (see Table 7.1), lawn maintenance degrades air quality through the use of relatively dirty two-stroke engines (Priest et al. 2000; Sawyer et al. 2000; Christensen et al 2001). The fragmentation of the landscape by lawns also adversely affects reproduction, survivorship, and dispersal of birds species (Marzluff and Ewing 2001). In sum, the lawnscape as an exogenous monoculture demands and receives increasing quantities of inputs per unit land.